(MENAFN - Morocco World News) ">Rabat – The General Directorate of National Security ( DGSN ) seized the ecstasy pills in a joint border control operation with customs agents early Monday morning, Maghreb Arab Press reported. Police have arrested three suspects, including one woman, in a car registered in the Netherlands, DGSN said in a statement. The ecstasy tablets were carefully concealed in the car's trailer. Tangier's judicial police 'have opened a judicial investigation under the supervision of the competent prosecutor's office to determine the ins and outs of this case and to apprehend possible accomplices,' added the statement. Many people, especially young people, consume ecstasy pills worldwide because they amplify human sensations and give an excited feeling. The ecstasy pill, also widely known as 'the love pill,' affects the central nervous system causing hallucinations and psychoactive effects. 'Sometimes users may experience intense anxiety, or feel so depressed three or four days after taking the drug that they think they need to see a doctor,' according to . 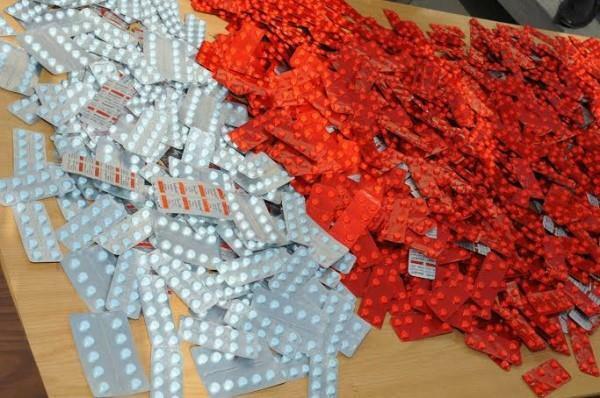 In March, DGSN 7,402 ecstasy pills, in addition to 475 kilograms of cocaine, and 3 kilograms of hashish from a 34 -year-old man. The national police arrested another 32-year -old man in January, for carrying in Marrakech.